The wood options are light oak, brown oak, dark oak, light olive and brown olive. 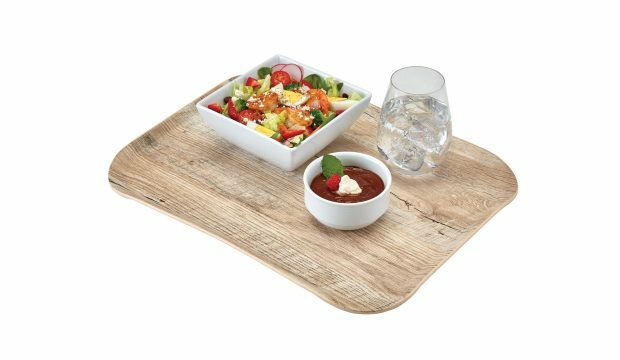 The textured woodgrain pattern covers the tray from edge to edge, top and bottom, for a real wood look and feel. All five are available in a choice of sizes, 33 x 43cm and 35.5 x 45.7cm.